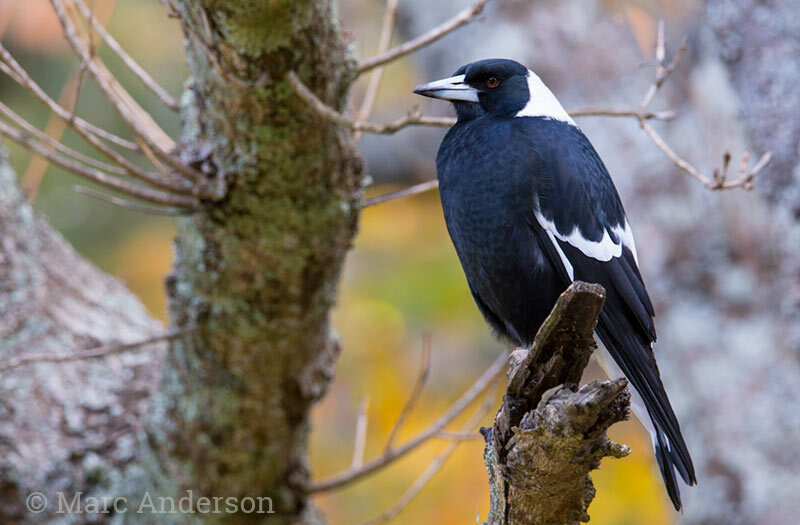 One of Australia’s most familiar bird species, the Australian Magpie (Cracticus tibicen) is a medium-large songbird found throughout mainland Australia, Tasmania and also in southern New Guinea. 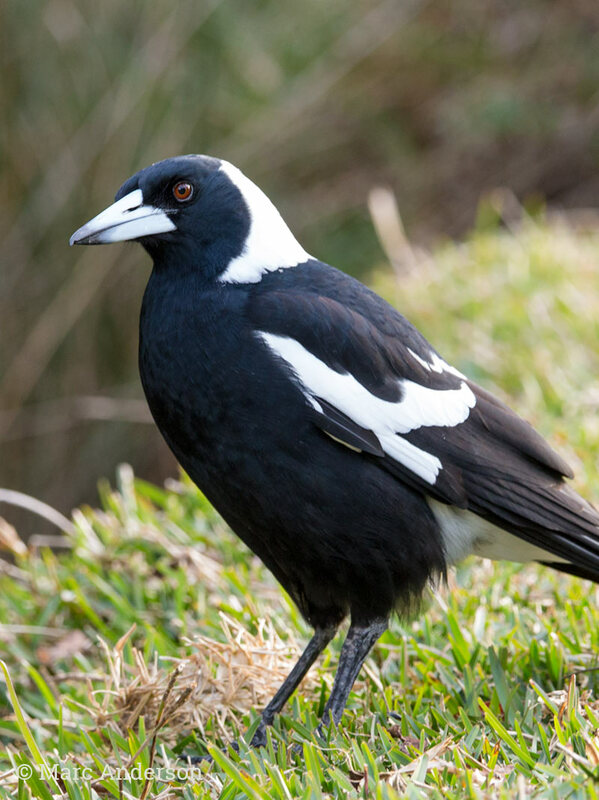 Preferring open habitats, Australian Magpies spend much time foraging on the ground. They are often in family groups consisting of a dominant pair along with younger birds raised in previous seasons. 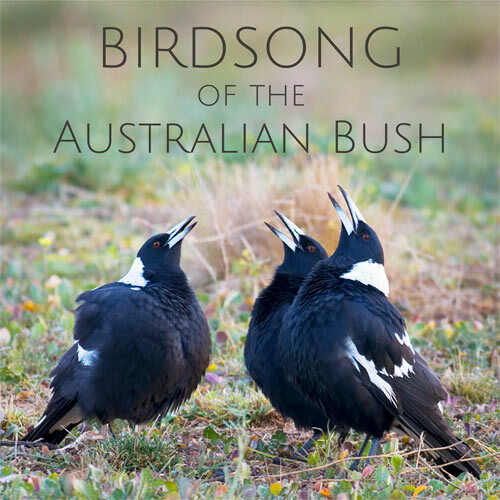 The fine, fluty song of the Australian Magpie is a much-loved sound of the Australian bush. Loud, melodious carolling phrases are often given as a duet or group, with the first notes usually initiated by the dominant male or female. This species makes a variety of other vocalizations with some local variations as well. Australian Magpies sometimes sing at night, as can be heard in the ‘moonlight song’ (XC218068b) recording below. XC200287 This first recording features the typical carolling song of an Australian Magpie. Recorded in Wyperfeld National Park, Victoria. XC269695 This next recording is a group of birds singing in the early morning. Recorded in Capertee National Park, New South Wales. XC218068b An example of ‘moonlight song’- this recording captures singing at around 3am on a moonlit night in Capertee National Park, New South Wales. These repetitive phrases are typical of the night song of Australian Magpies. In the background Powerful Owl (Ninox strenua) and Eastern Grey Kangaroo (Macropus giganteus) can also be heard. XC327864 Two birds making short, descending calls followed by the sound of wingbeats as they fly off. Recorded in Goulburn River National Park, New South Wales. XC174168 A variety of short, single note calls. Recorded in the Royal National Park, New South Wales. XC200412 Begging calls from a juvenile. Recorded in Wyperfeld National Park, Victoria.